If eyes are the windows to the soul, then dogs leave their windows wide open! The joy and excitement we read in those perfect peepers is infectious and one of the many reasons we love them so darn much. Keep those gorgeous, expressive, soulful eyes clear and healthy by following these 5 tips! 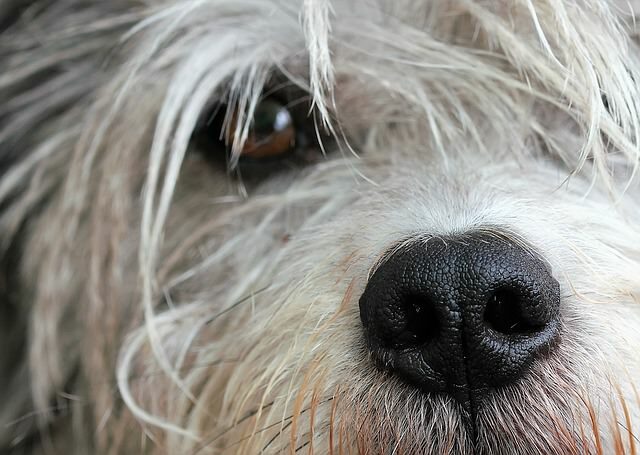 Dogs’ eyes produce watery and mucousy discharge that can be perfectly normal. But unlike us, their eyes are surrounded by hair that can trap this discharge – not to mention dirt and environmental debris! 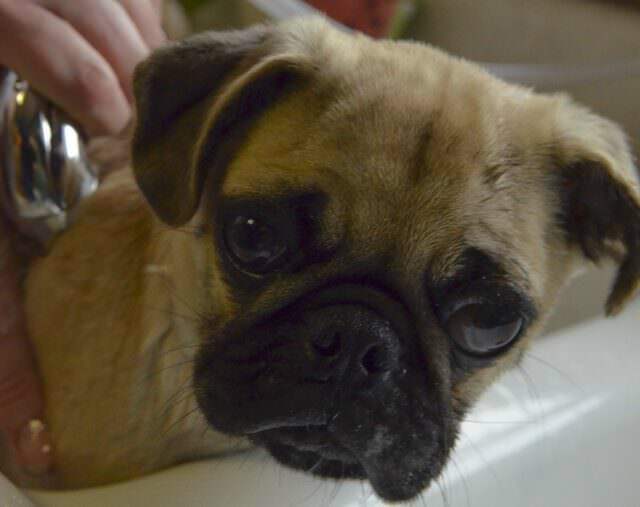 For most short haired dogs, a cotton ball and a bit of eye flush is all you need to keep peepers clean. However, longer haired dogs and those with chronic eye conditions should be groomed regularly to prevent matting and excess build-up. Animal Wellness Magazine lists 10 nutritious foods that help promote healthy eyes and vision. 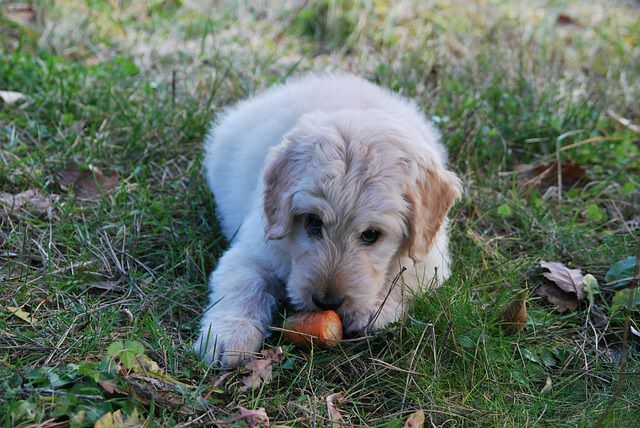 Dogs love to snack on these super foods as a wholesome alternative to processed treats! Blueberries – Contain two very important eye healthy carotenoids – lutein and zeaxanthin, plus nutrients that support night vision, prevent macular degeneration and even reduce eye fatigue! Broccoli – A great source of lutein and zeaxanthin, that’s also packed with beta-carotene. Carrots – Contain pro-vitamin A, betacarotene, vitamins B, C, D, E and K, riboflavin, niacin, calcium, potassium, phosphorus, sodium, iron, magnesium, manganese, sulphur, copper, iodine, lycopene and lutein! Cold Water Fish – Salmon, tuna, cod and krill are high in EPA and DHA, two Omega-3s important to cellular health. Supplements made from high quality fish or krill oil such as Project Paws’ Omega 3-6-9 Select Chews are a tasty way to give your pup the EPA and DHA their eyes need. Eggs – Egg yolks contain lutein which reduces risk of developing macular degeneration. Garlic – Important in the production of glutathione, an important protein that acts as an antioxidant for the lens of the eye. Kale – An excellent source of lutein, zeaxanthin and betacarotene. Pumpkin – Packed with carotenoids such as beta-carotene, which help neutralize free radicals. Sweet Potatoes – Packed with betacarotene, plus anthocyanins that have antioxidant and anti-inflammatory properties. Tomatoes – Contain two eye-healthy nutrients – lycopene and lutein, that act as antioxidants and protect the eyes from sun damage. 3. Heads INSIDE The Car! 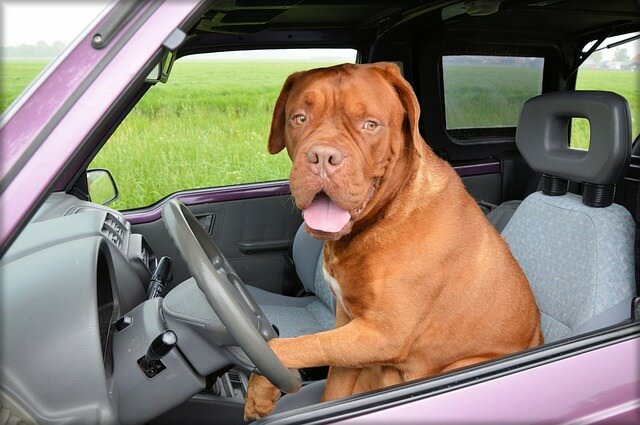 It may look cute and your pup may love it, but dogs that ride with their heads out the car window are exposed to ocular dryness and debris caused by heavy winds. Plus, it can be dangerous! Certain breeds are predisposed to conditions of the eye. For example, bulldogs and mastiffs are prone to entropion – a condition where the eyelids roll inward and rub painfully against the cornea. Be sure to research any conditions or diseases that your dog may be predisposed to so you know exactly what to watch for! 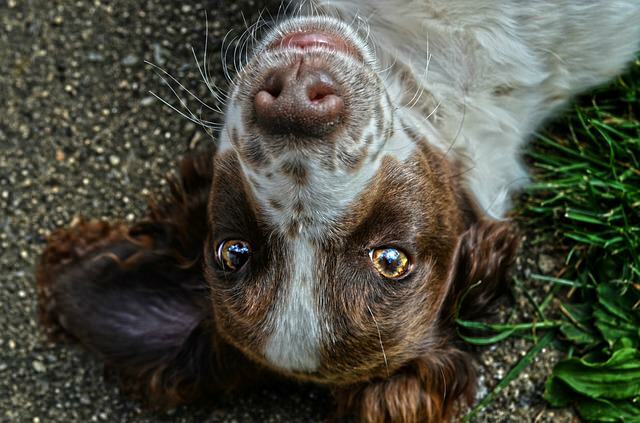 If you DO notice anything concerning about your pup’s eyes, whether it be excess tearing, colored discharge, lumps or bumps, redness, swelling, etc – see your vet immediately! Many serious conditions of the eyes are degenerative and can progress quickly without treatment. 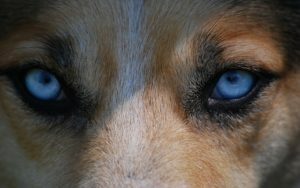 When it comes to your dog’s beautiful eyes, it is always better to be safe than sorry!